A man claiming to be a Gwinnett County cop asked a Doraville officer to help him find out if a gun was stolen and got arrested for his trouble. DORAVILLE, Ga. -- Two men, one of them claiming to be a Gwinnett County Police Officer, were arrested outside a bar on Buford Highway in Doraville early Saturday morning. According to a police report, a man identified as Eric Stone flagged down Doraville Police Officer J. Pike at about 12:30 a.m. in the parking lot of a bar in the 5800 block of Buford Highway. Stone was wearing tactical gear, including a tactical vest and a thigh holster with a firearm. He produced an unloaded firearm and asked Officer Pike to determine if the weapon was stolen. When Pike asked Stone who he worked for, Stone said Gwinnett. Based on his appearance and his working security for the bar, Pike said in the report he believed Stone intended to pass himself off as a Gwinnett County police officer. 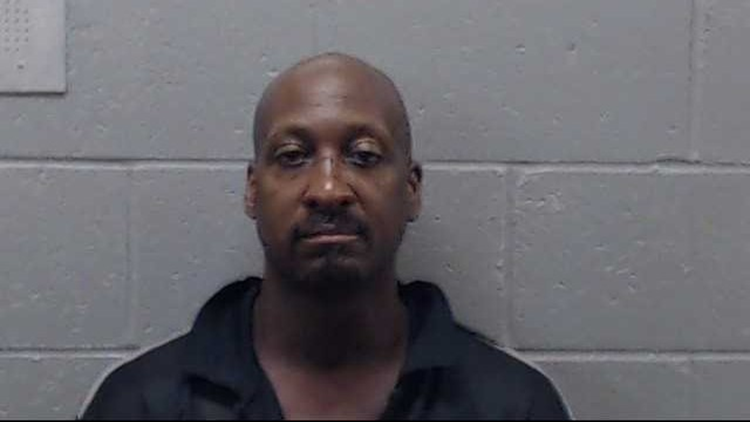 Doraville Police arrested Eric Stone early on Saturday, Sept. 15, 2018, charging him with impersonating a peace officer. The serial number on the gun was filed off. Pike asked about the owner of the gun. Stone said he had found it on a man inside the lounge, later identified as Erik Garcia-Mejia, while doing a security search. He said he'd allowed Garcia-Mejia keep the gun's loaded magazine. Stone took Pike into the lounge to retrieve Garcia-Mejia, who was taken into custody without incident. Garcia-Mejia was arrested for criminal use of an article with an altered identification mark and possession of methamphetamine. During this process, it was discovered that Stone was not a police officer after all. He was arrested for impersonating an officer.